Do you or someone you know always get sick on vacation? While some might suggest that your body’s relaxation causes your immune system to let its guard down, that’s not the case. The real cause is even more unexpected—it’s mold! Mold runs rampant anywhere with sufficient moisture and warmth. Meaning hotel rooms, and beach and mountain houses are potentially chock full of it. 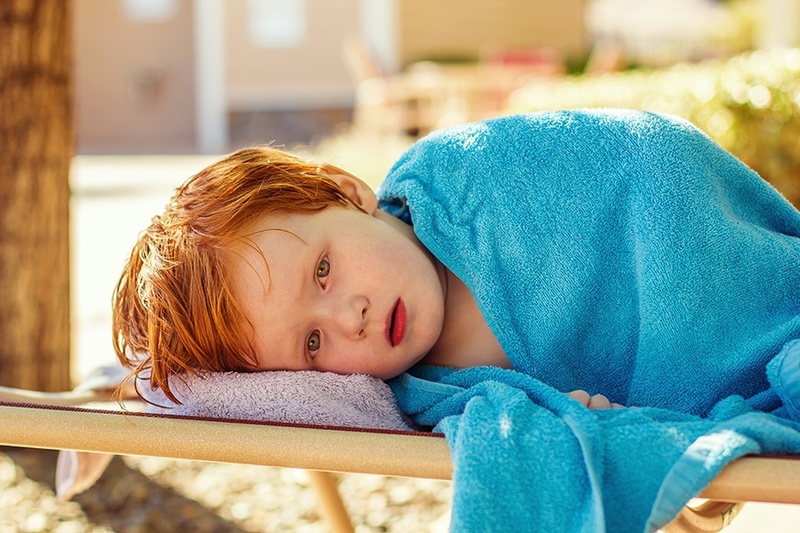 If you experience sniffles, sneezing, headaches, itchy and/or watery eyes within the first days of your vacation, it’s likely an allergic reaction to the mold hiding in mattresses, air-conditioning units and bathrooms. The easiest way to determine whether or not you have a mold allergy is to meet with an expert, like the specialists at Allergy & Asthma Specialists℠. There, a board-certified allergist will evaluate if you might be allergic to mold or any other allergen. If they suspect you are, they’ll perform allergy skin testing to identify which allergens are triggering your cold-like symptoms. The allergist will take extracts of different fungi and lightly scratch the surface of your skin. If there’s a reaction, you are indeed allergic. Ideally, try to meet with them three to six months before your next vacation, to find real relief prior to your trip. If you are allergic to mold, the specialists will create a personalized treatment plan that fits your lifestyle and targets the specific allergens afflicting you. If you’ve planned accordingly, you’ll have a few rounds of treatments in your system before you even step foot inside your hotel or home rental. There are plenty of treatment options available like environmental control tips, medications and immunotherapy in the form of allergy shots or sublingual drops to finally start seeing some real relief. In addition to planning ahead, the allergist can educate you on a number of changes you can make onsite in your vacation rental to ensure a fun and sickness-free trip. First and foremost, be sure to book a room away from an indoor pool—they’re a magnet for mold spores. If your room has a musty odor, mold is probably present. Pack a dehumidifier, if you can, to lessen the feeling of dampness in the space. Inspect the bathroom for mold and mildew in the tiles and grout and the air conditioning filters. If you suspect mold, spray the spot with a mold-specific disinfectant like Lysol, or Clorox. Lastly, always let wet or damp clothing dry outdoors and wipe away any built-up condensation on windows. Spend your summer enjoying your hard-earned PTO. Schedule a skin test with a fellowship-trained, board-certified allergist, visit Allergy & Asthma Specialists online or call 1-800-86cough to get started today.